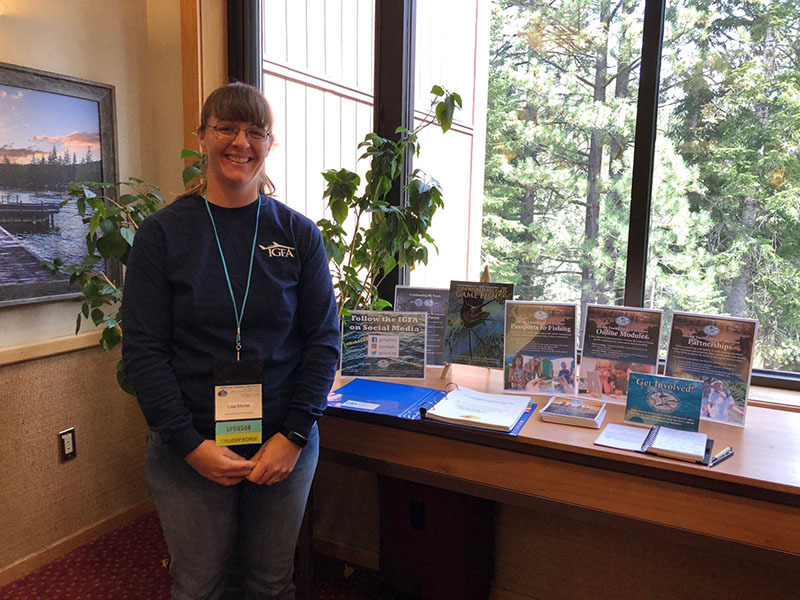 Last week, IGFA Youth Education Manager Lisa Morse attended the Aquatic Resources Education Association (AREA) Biennial Training Conference in Lake Tahoe, California. 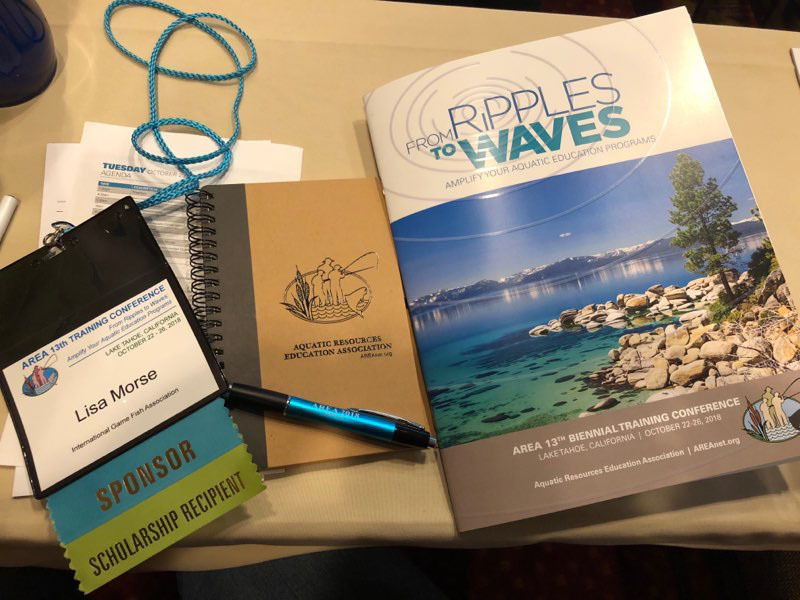 The theme was “From Ripples to Waves: Amplify Your Aquatic Education Programs,” which is exactly what the IGFA is planning to do in our initiatives to educate the next generation of ethical anglers. The conference began with updates regarding AREA membership and the Angler R3 movement, which is an effort to improve angler recruitment, retention, and reactivation on a national level in the United States supported by the Recreational Boating & Fishing Foundation (RBFF). Tuesday wrapped up with Tom McKee, author of “The New Breed: Understanding and Equipping the 21st Century Volunteer” and keynote speaker of the conference. McKee also led an interactive workshop to help aquatic educators understand how to best utilize and empower volunteers to assist with educational programs. Morse noted numerous way to leverage McKee's ideas to strengthen the IGFA's Volunteer and Representative programs. 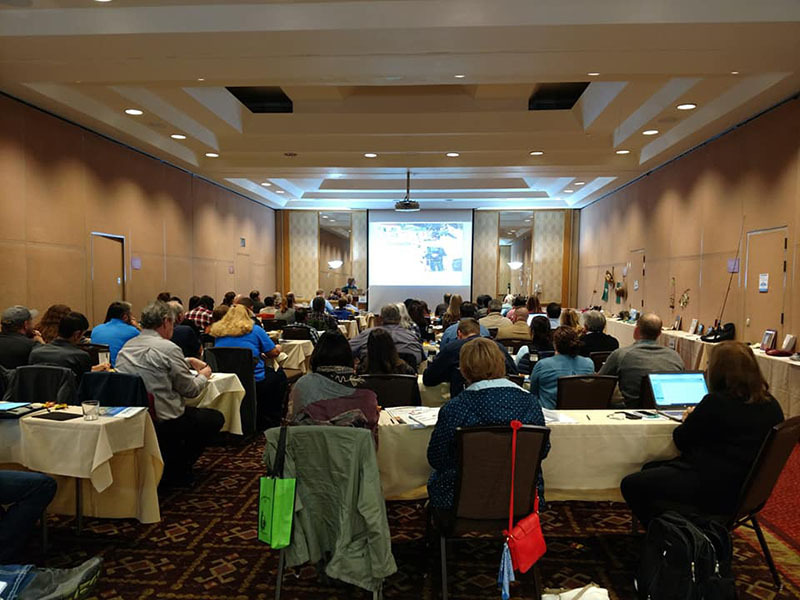 The following day was filled with breakout sessions to learn how to connect audiences through social media, develop strategic partnerships with like-minded organizations with similar missions, and engage and empower the next generation of anglers through aquatic education. The content of each session was beneficial for the IGFA as it works towards achieving its initiative to teach 100,000 kids around the world to fish through its Passports to Fishing program, online learning modules and strategic partnerships. 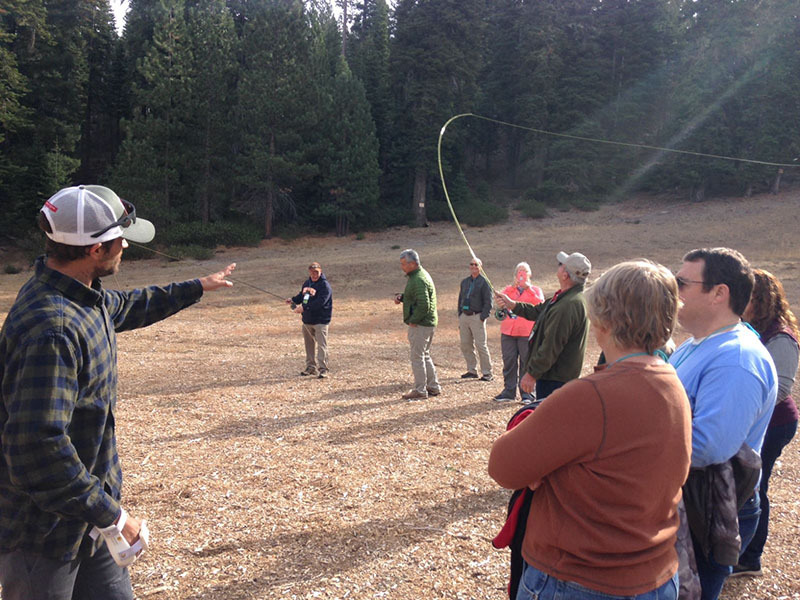 The conference wrapped up with interactive workshops including a “Tips for Teaching Fly Fishing” workshop Morse attended to learn basic and advanced techniques for youth who are interested in learning how to fly fish. Morse also attended the Awards Banquet to honor leaders in aquatic education, which wrapped up the conference. Overall, the conference was a great success and opened many opportunities for the IGFA to work toward its five 80th anniversary initiatives. 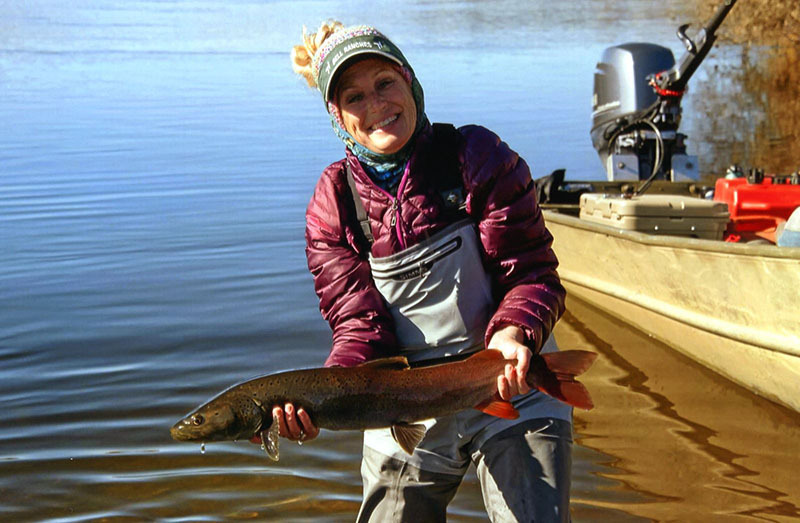 The IGFA would like to thank AREA for awarding Lisa Morse a partial scholarship to attend the conference this year. 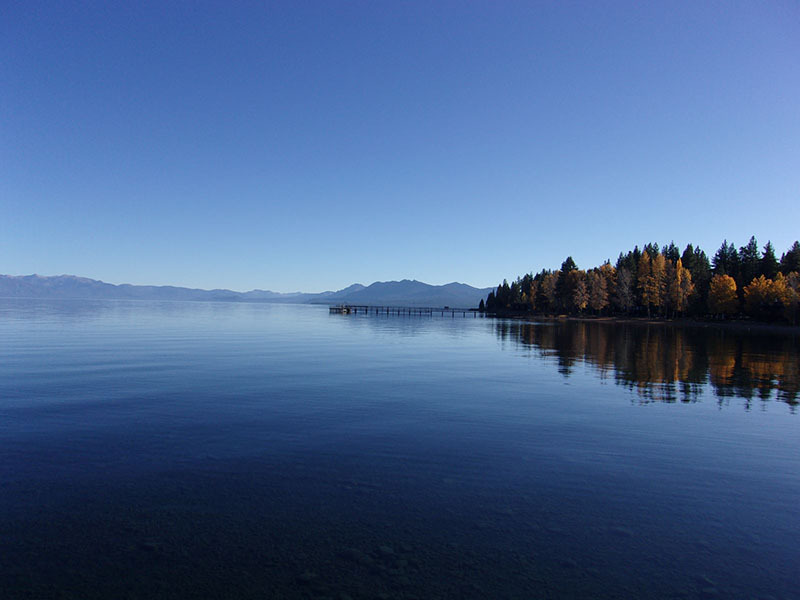 It was definitely a valuable experience to further develop the partnership between the IGFA and AREA and amplify youth aquatic education programs around the United States.